Plextor's M6V SSD was originally planned to be their first drive using TLC NAND, but that has now been put off to next year's M7V. Instead, Plextor is taking advantage of a surprise hit in the SSD controller market, Silicon Motion's SM2246EN controller. We've previously tested this controller in the ADATA Premier SP610, the Transcend SSD 370, the Mushkin Reactor, and the Crucial BX100. 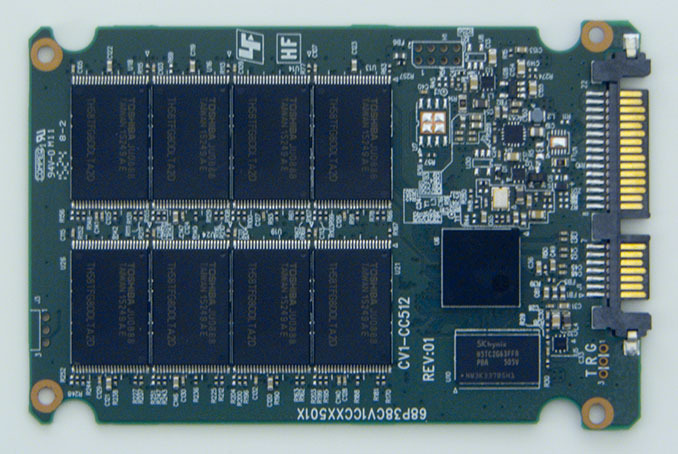 The SM2246EN was designed to be a low-power controller for low-cost drives, and it has been very successful in that segment. The controller doesn't support TLC NAND, so all of these drives are free of the higher power consumption and lower performance that have troubled low-end TLC solutions we've seen so far. The SM2246EN has been paired with a variety of NAND, so these drives don't all perform identically. The Plextor M6V is the first time we've seen this controller paired with Toshiba's 15nm MLC, which is significantly denser than Micron's planar NAND and competitive with Samsung's second generation V-NAND. Toshiba has had trouble getting the 15nm MLC out the door in large quantities, and the rest of Plextor's products are still using Toshiba 19nm or A19nm MLC. Of the major SM2246EN drives, each one differs a bit from the others in terms of features. Transcend's SSD 370 and its aluminum-clad variant (the SSD 370S) use custom firmware to offer encryption, but is missing some power saving modes. Mushkin's Reactor was initially available only in the 1TB capacity, but the 512GB and 256GB models are now available from some retailers. Crucial's BX100 uses semi-custom firmware and features the partial power loss protection now typical of their mainstream drives. The Plextor M6V, by comparison, has just the basic feature set of a SM2246EN drive, augmented only by Plextor's PlexTurbo RAM caching software for Windows (but not Windows 10). Plextor has opted to not make a 1TB version of the M6V, which would probably require more expensive packaging to fit on the PCB layout they're using. Our 256GB sample has 8 packages on front of the PCB and 8 empty pads on the back, which means that each package has two 128Gbit dies inside. 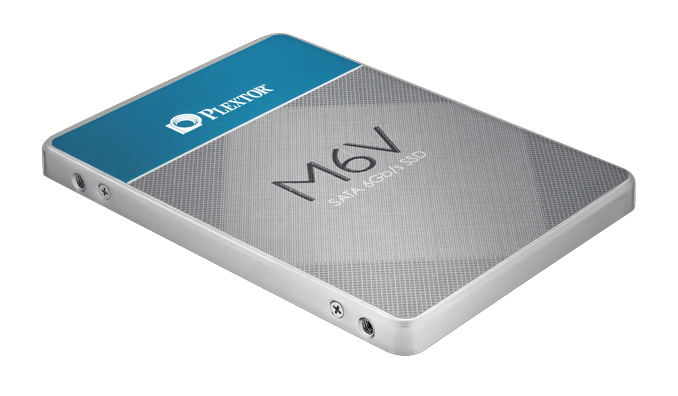 The M6V also has siblings in smaller form factors: the M6MV (mSATA) and M6GV (M.2 SATA), both using the same controller and flash as the M6V. They shouldn't be confused with the M6M and M6G, Plextor's higher-performance mSATA and M.2 SATA drives, which like the rest of Plextor's SSDs use Marvell controllers and 19nm Toshiba flash. The M6MV doesn't have a 512GB configuration, but the M6GV does. Both of the smaller form factors use more expensive and denser BGA packaging for the NAND flash, and neither seems to be readily available for purchase yet. im shopping for new 240GB+ ssd. looks like BX100 is the way to go rite?